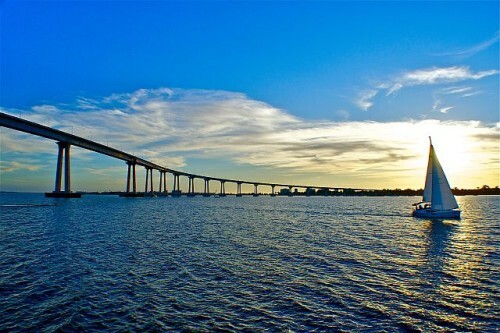 Cheap flights to California: San Diego for only €473! Delta Airlines now offer cheap flights to California. 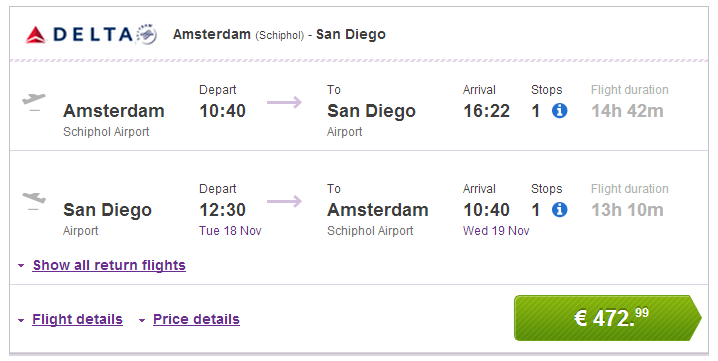 Return flights from Amsterdam to San Diego are available for only €473! This price includes 23 kg check in luggage and 1 very short stopover in Seattle. Travel dates are from 1st November until 12th December 2014. You have to book the tickets until 29.4.2014. Tampa has wide range of affordable accommodation. You can choose cheap motel or check great hotel deals to get the best offers. Public transport in this area of the United States isn’t exactly the best and there is plenty of great places which can be visited only by car. Renting a car is cheap so check our comparison site to get best prices. « Holidays in Greece: Flight, 1 week in hotel, transfer from €114!